New to these adorable animals? Don’t worry — we’re here to help you out. 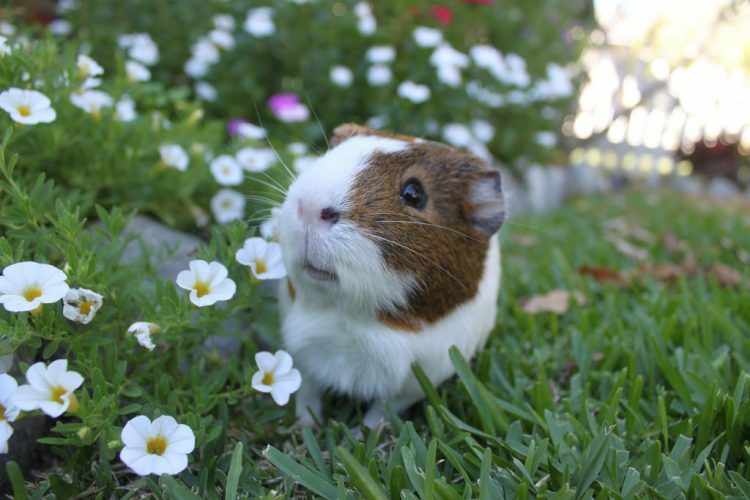 Compared to cats or dogs, guinea pigs can be a lower-maintenance option for those who have a busy lifestyle but still want a pet. But guinea pigs can also be a bit shy. If you’re new to guinea pigs, it can be challenging to figure out how to win your new friend over. Don’t worry — we’re here to help. Here are some ideas that will aid your guinea pig in learning to love you. In the beginning, try not to overwhelm your guinea pig by over-handling or overstimulating her. During the first few days, talk to your guinea pig and keep handling to a minimum. Gradually, as your guinea pig adjusts to you and your household, start handling her more so she becomes used to you. 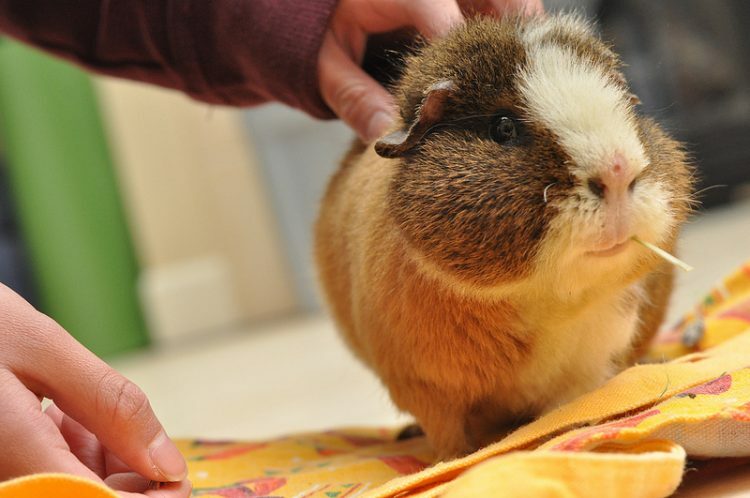 Set a goal to hold your guinea pig for at least 30 minutes a day. Eventually, you’ll be able to pick her up for a cuddle whenever you like — and she’ll enjoy it as much as you do. Unfortunately, it is easy to accidentally injure a guinea pig with improper handling. Here’s how to do it the right way: Reach in and grasp her by the shoulders. Use your other hand to support her backside. When you lift her, have 1 hand beneath her for support while the other hand is on top of her shoulders, preventing her from jumping. By handling your guinea pig properly, you are teaching her that she can trust you not to hurt or drop her. Like all pets, guinea pigs love treats. You don’t want to overdo any type of treat, but vegetables and some fruits can be excellent treats to offer your guinea pig. Keep in mind that many fruits are high in sugar so they should only be offered once a day, if that. Your guinea pig may swiftly become obese if fed too much sugar or empty calories. Guinea pigs love to play. If you have a room you can close off safely, you can let yours loose to explore. If there are no rooms available, set up a playpen, provided that your guinea pig can’t chew through the mesh. In her play area, set up cardboard paper towel tubes, boxes and other fun toys for her to play with. You can also put toys inside her cage for when you can’t supervise. Balls, wheels and ramps are stimulating for your your guinea pig to explore solo. The best way to get your guinea pig to love you is to simply practice patience and love — just give it a little time. All pets go through an adjustment period when they come to a new place. But if you take your time and give your piggy the love she needs, she’ll soon return the favor.